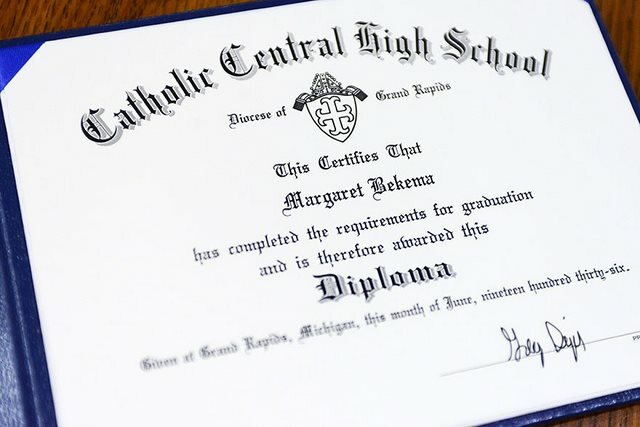 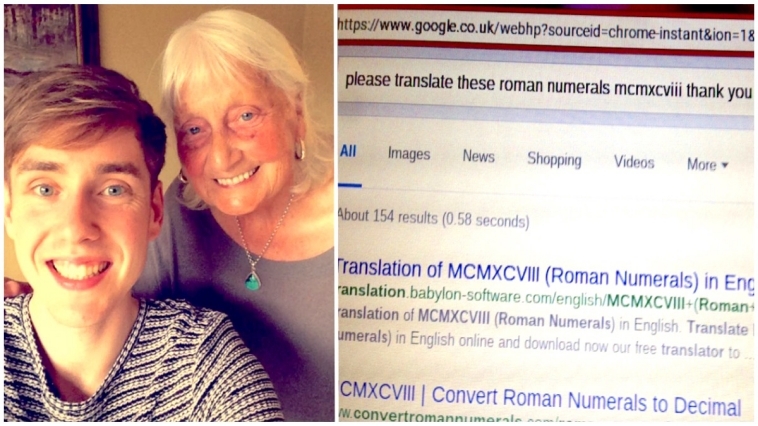 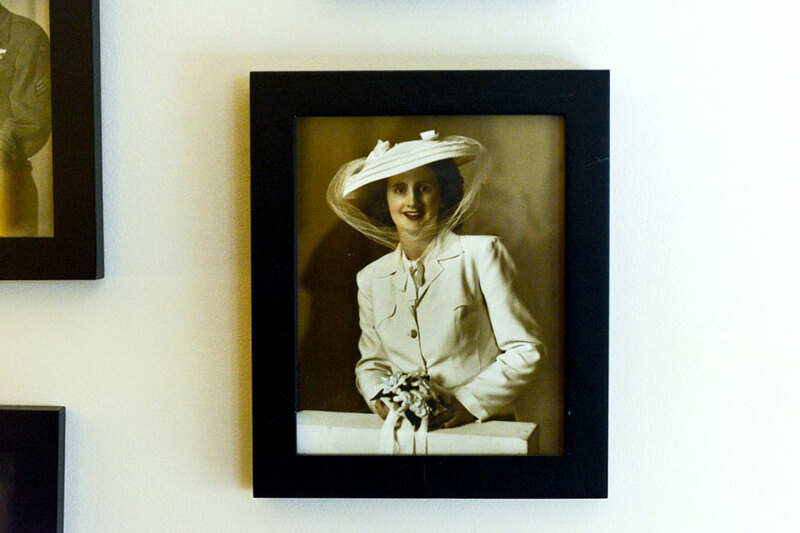 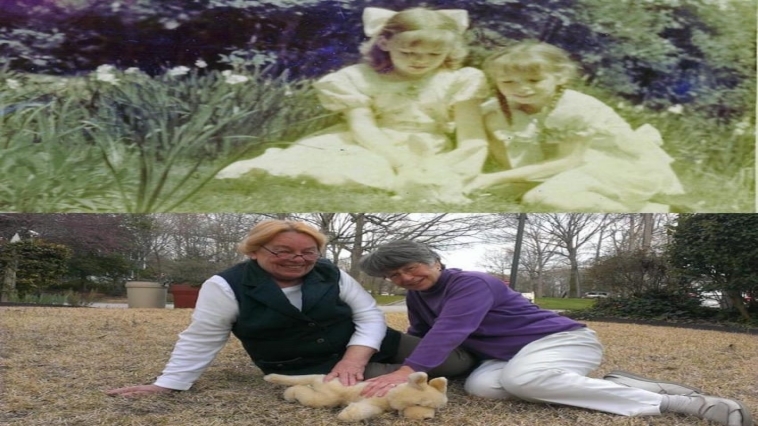 Margaret Thome Bekema never really graduated from Grand Rapids Catholic Central High in 1936 because she was forced to leave school to take care of her sick mother and her other siblings. 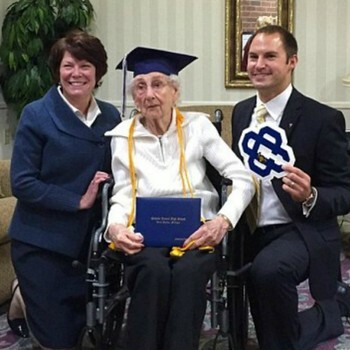 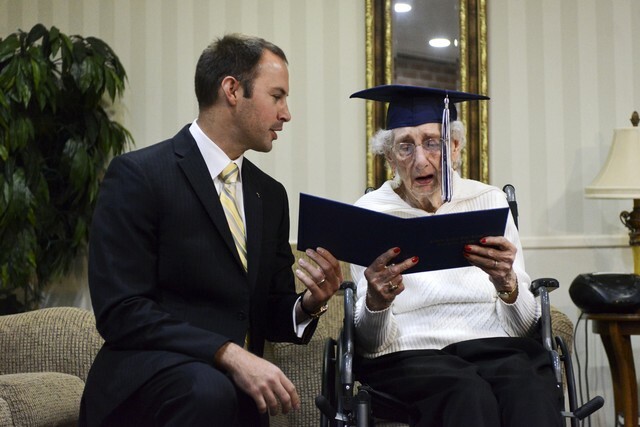 But thanks to a relative, Margaret got an honorary diploma 79 years after the year she was supposed to graduate. 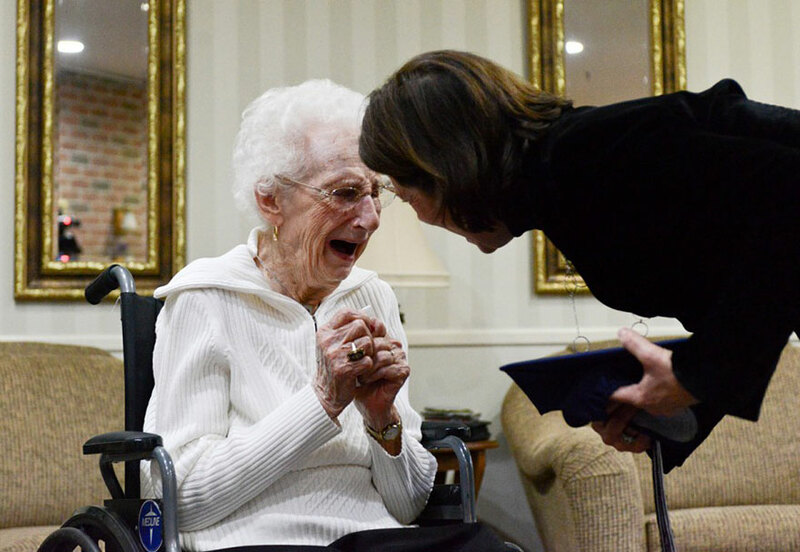 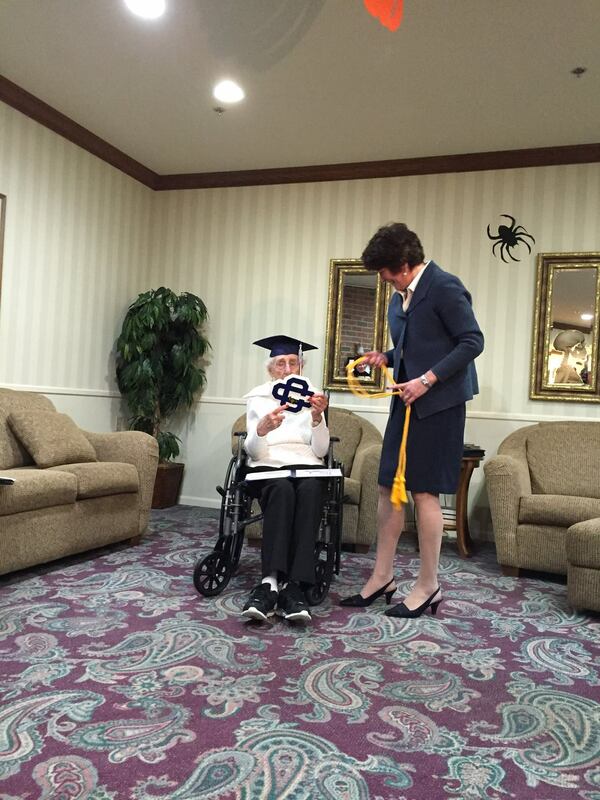 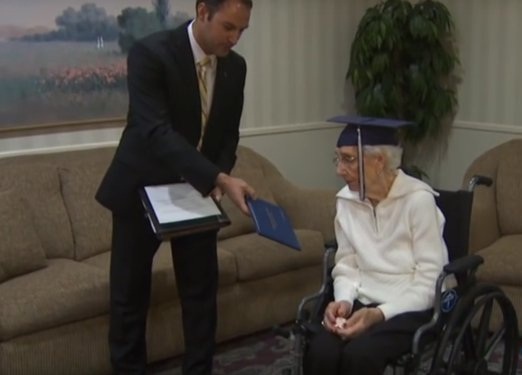 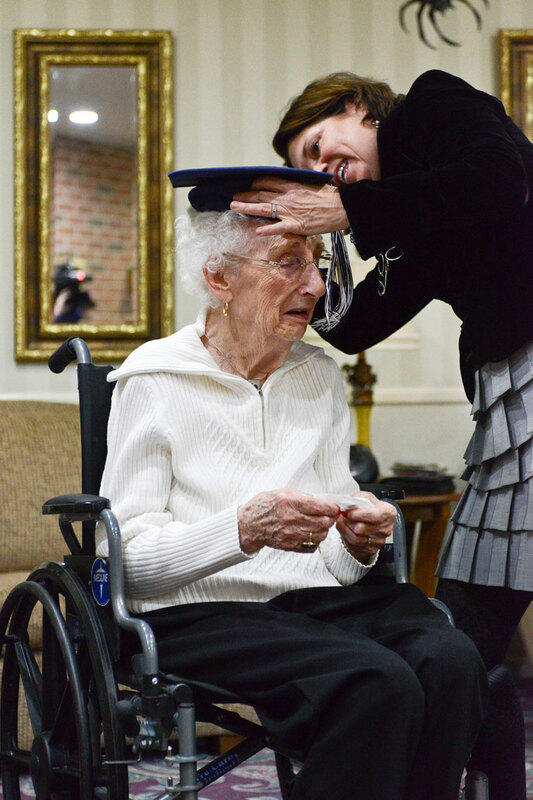 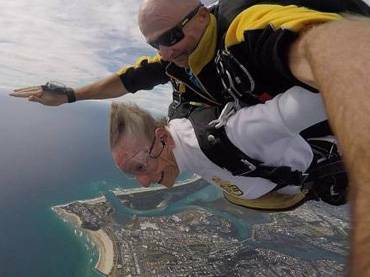 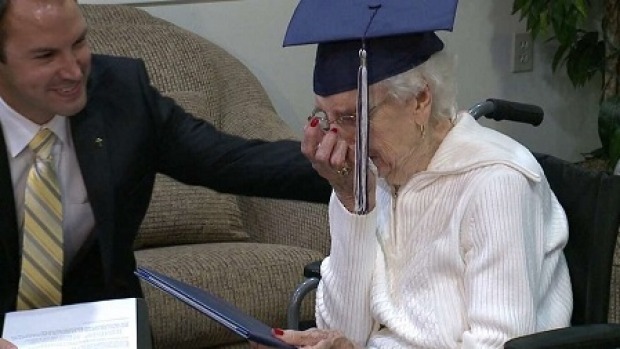 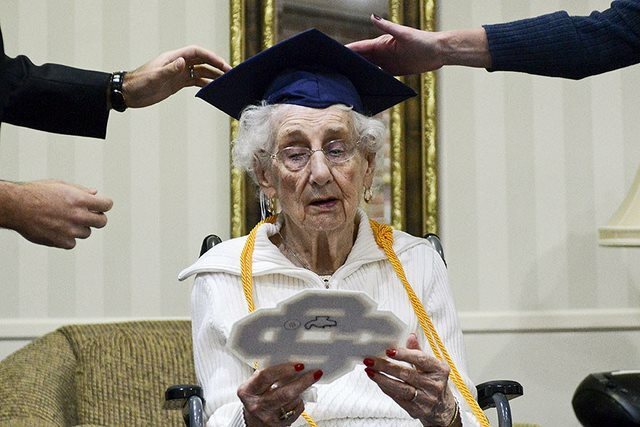 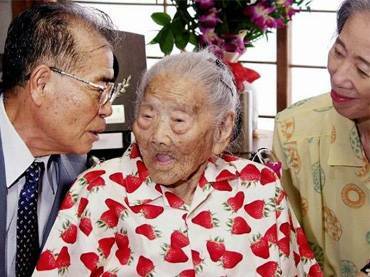 When Greg presented Margaret her graduation cap, the 97-year-old couldn’t stop her tears. 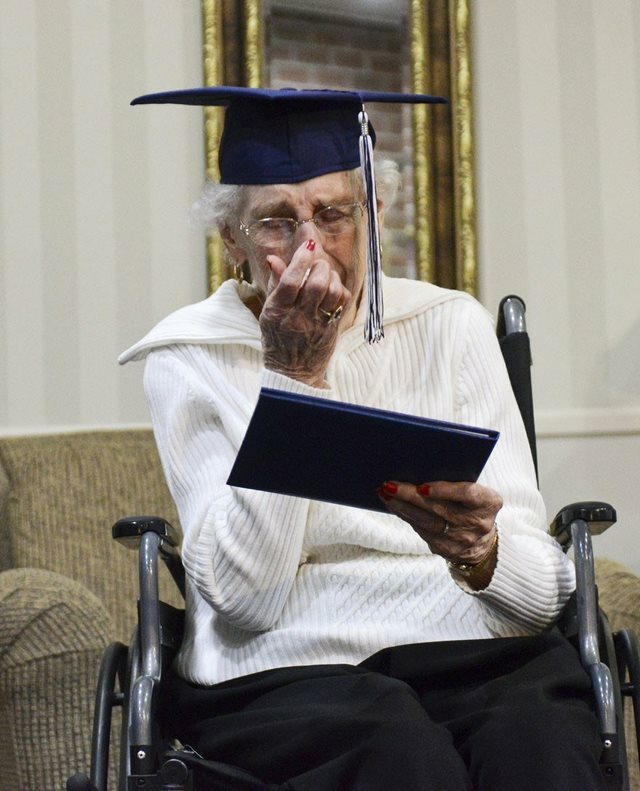 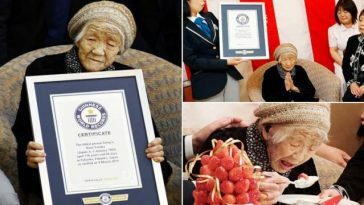 She received a diploma, which is dated the exact year she should have graduated.